A complete, intelligent solution, including Office 365, Windows 10, and Enterprise Mobility + Security, that empowers everyone to be creative and work together, securely. With the release of Micrsoft 365, Microsoft is bringing the proven capabilities of Office 365, Windows and Security into a single managed solution. 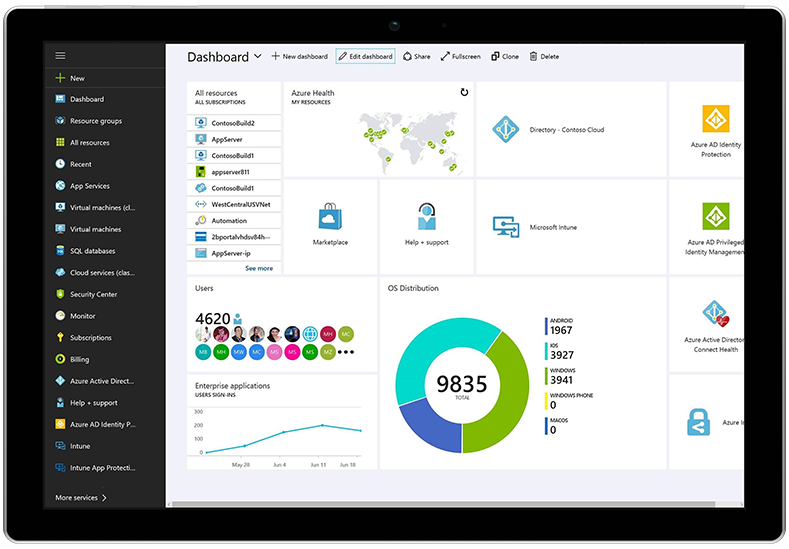 Microsoft 365 is available for small and medium companies as Microsoft 365 Business and for enterprise organizations, that have complex security and compliance requirements, as Micrsoft 365 Enterprise. Read further below about the capabilities of Microsoft 365 Business and Enterprise to determine the right solution for your organization. 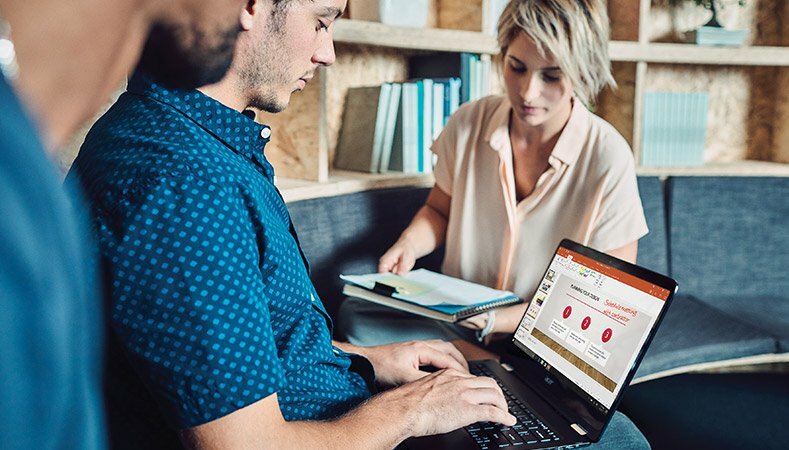 Microsoft 365 Enterprise is a complete, intelligent solution, which brings together the best of Office 365, Windows 10 Enterprise, and Enterprise Mobility + Security, that empowers everyone to be creative and work together, securely. Create compelling content with Intelligent apps. Work naturally with ink, voice, and touch. Visualize information in new ways. Connect the experience across devices. Email and calendar with Exchange. 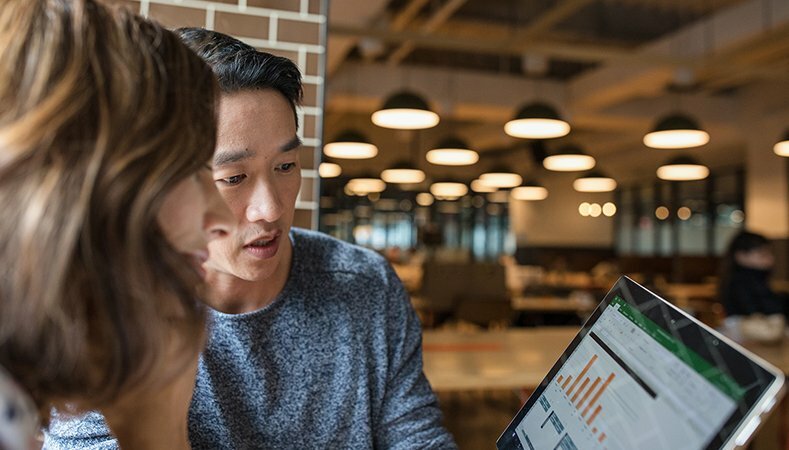 Connect to people, content, and apps with SharePoint. Voice, video, and chat with Skype and Microsoft Teams. Network across the organization with Yammer. Co-author with Office 365 ProPlus. Integrated administration tools and insights. 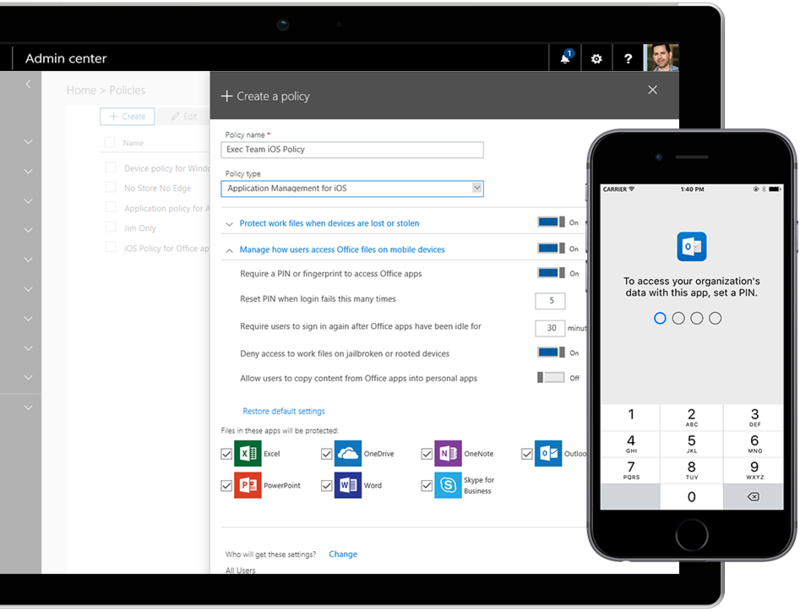 An integrated solution, bringing together the best-in-class productivity of Office 365 with advanced security and device management capabilities to help safeguard your business. Create your best work with intelligent tools built in to Office. Get work done with enterprise grade email and calendaring. Access your files from anywhere with online file storage. Easily integrate with other commonly used apps and solutions. Bring together teams and resources, all in one place. Connect with customers, co-workers, and suppliers. Host online meetings to increase collaboration and productivity. Work anywhere from any device. Schedule & manage appointments with your customers. Control & manage access to your sensitive business information. Protect company data across PCs, phones and tablets. Guard against unsafe attachments, suspicious links, and other cyber threats. Download Microsoft 365 Licensing guide to explore more about Microsoft 365. Includes all Office 365 Business Premium features. (additional features are listed below). Helps protect your business from unsafe attachments, suspicious links, and other unseen malware. Information Protection Policies to help control & manage how information is accessed. Controls to protect your company data on personal mobile devices. Preservation, Compliance & Archiving capabilities with continuous data backup that is accessible anytime/anywhere. Securely manage iOS, Android, Windows, and macOS devices. Self-service PC deployment with Windows AutoPilot..
Simplified controls to manage Windows 10 Pro PCs..
Get upgraded to Windows 10 Pro from Windows 7, 8 or 8.1 Pro. Threat protection: Microsoft Advanced Threat Analytics, Windows Defender Antivirus, Device Guard. Identity & access management: Azure Active Directory Plan 1, Windows Hello, Credential Guard and DirectAccess. Includes all E3 products and features, plus the latest advanced threat protection, security and collaboration tools (only additional features are listed below). Threat protection: Windows Defender Advanced Threat Protection, Office 365 Advanced Threat Protection, Office 365 Threat Intelligence. Identity & access management: Azure Active Directory Plan 2. Information protection: Azure Information Protection P2, Microsoft Cloud App Security, Office 365 Cloud App Security. Advanced compliance: Advanced eDiscovery, Customer Lockbox, Advanced Data Governance. Analytics: Power BI Pro and MyAnalytics. Connect with us to explore more about Microsoft 365! Please fill your details and we will get back to you soon. Please fill your details to download the Licensing guide. Please fill your details to download the file.